PermaTherm’s core competency is the delivery of complete Insulation Systems for cold application mechanical systems such as refrigeration, chilled water, cryogenic, and other low-temperature applications. InsulatePipe.com represents the pipe and equipment insulation business where we can deliver a complete Pipe Insulation System to your job site – – using your chosen insulant with vapor barriers and jackets, with all attendant adhesives and mastics factory-assembled, bundled, boxed and shipped – – saving labor costs within your organization and in-the-field. Clients must live with their decisions and their insulation system purchases for decades and want to understand the risks associated with their purchases. PermaTherm wants to be the organization that each client looks back on and says “they were on our side, and their input was extraordinarily helpful”. 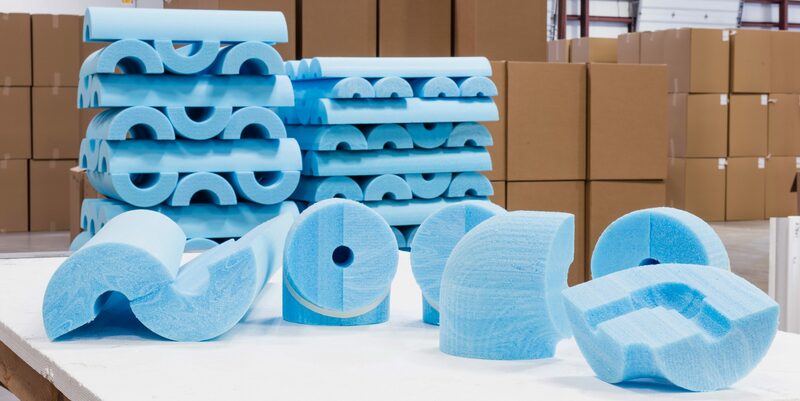 PermaTherm manufactures the majority of cold pipe insulation components; and we have long-standing relationships with competitive and reliable suppliers of other insulation/ components as well as the accessories (vapor barriers, jackets, mastics, pipe coatings, etc.). Our contractual relationships demand the best pricing and delivery terms, and we inventory large quantities of materials to ensure prompt delivery. 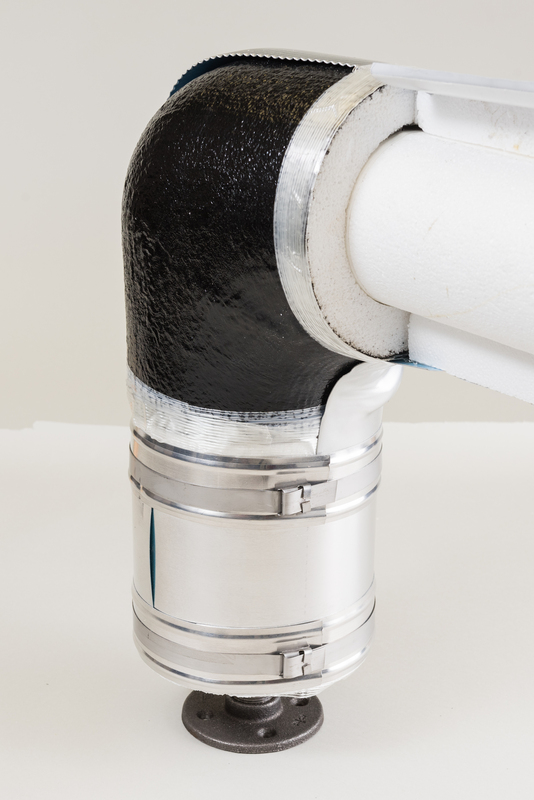 Cold pipe insulation systems are inherently challenging, primarily due to the need for high thermal resistance (R-value), and concern over absorption of water or water vapor. PermaTherm’s decades of cold insulation systems such as refrigeration and chilled water have made us experts in EPS, XPS, and polyiso insulation systems. Water contact with the pipe is frankly a rare occurrence since flooding over pipe is highly unlikely and outdoor applications typically have rain-resistance sealed metal jackets with impermeable vapor barriers beneath the jacket. Unless installed improperly or subject to mechanical abuse, water will not be in contact with the insulant. Thus insulant selection depends primarily on the thermal conductivity versus the cost of the insulant – – of course acknowledging that parameters such as compressive strength, flame/smoke properties, etc. can be factors in particular applications. PermaTherm’s approach is to first rely on the judgement of the client and its engineer, yet also challenge and suggest alternatives based on PermaTherm’s decades of experience. 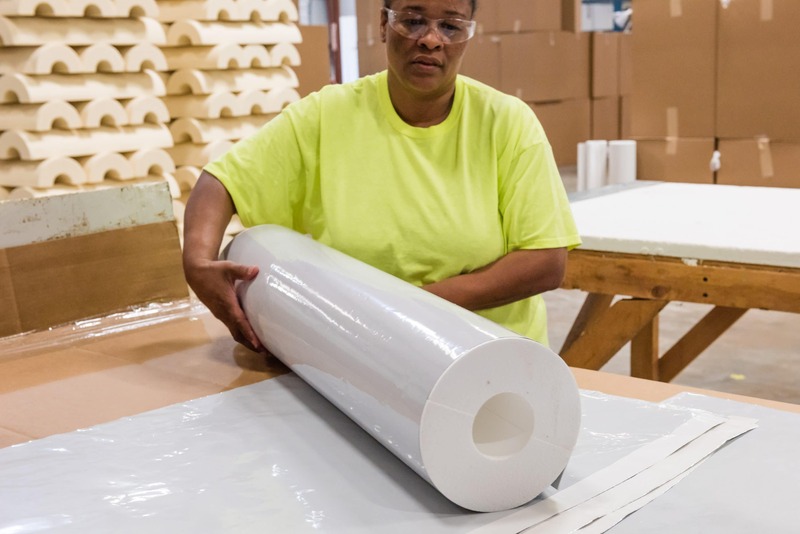 PermaTherm has developed software protocols to assist clients as they develop Bills of Materials for the various requisite vapor barriers, jackets, mastics, adhesives, strapping, and so forth. We do not intend to displace the client/engineer’s design calculations, yet PermaTherm can offer a valuable counter-check on the quantity and selection of materials.